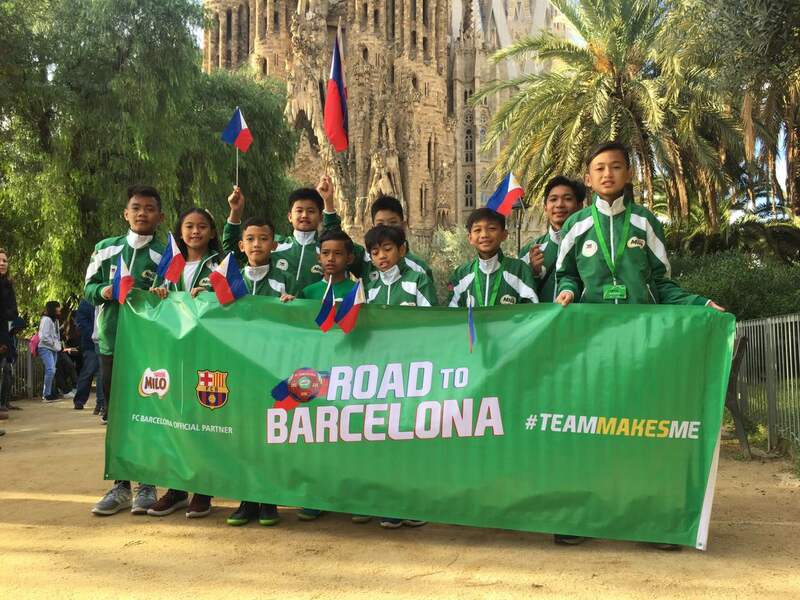 Ten deserving kids from this year’s MILO-FCB Road to Barcelona program have been sent to Spain as part of the Philippine delegation to participate in the FCB Ultimate Training Camp and Ultimate Experience happening from November 4 to 12. 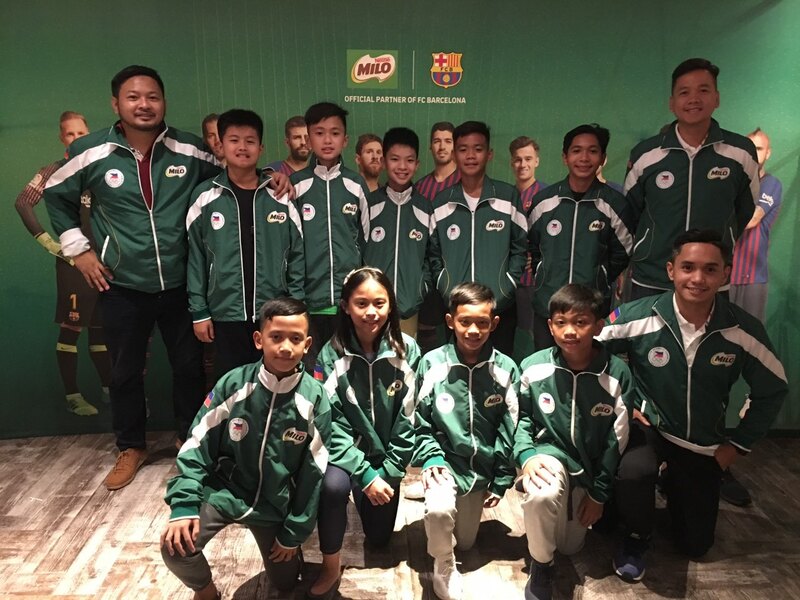 MILO Philippines, with the help of the visiting FC Barcelona (FCB) Youth Academy coaches and officials from the Cebu Football Association, has officially revealed the list of athletes after weeks of careful deliberation and preparation. Selected based on the HEART values (humility, effort, ambition, respect, and teamwork) they espouse and the exceptional skills they exhibit, these 10-12 year olds represent the most deserving athletes from over 160 participants in the MILO-FCB Philippines Invitational Camp held last September 8 to 9 at the Cebu City Sports Center in football hotbed Cebu City. Two selected kids from last year’s inaugural Road to Barcelonaprogram will also be joining the team. The diverse set of delegates come from key football clubs and communities across the country – Metro Manila, Cebu, Cagayan de Oro, Davao, and Koronadal City in South Cotabato. NOURISHING WORLD-CLASS AMBITIONS. The MILO-FCB Road to Barcelona 2018 Delegation has arrived in Spain for a nine-day training camp and ultimate champion experience. (TOP ROW L-R: Assistant Organizer Mike Reyes, Juan Pablo S. Unlay, Carlo Antonio D. Bongocan, Dylan Theodore O. Wong, Heaven Andrei N. Teodosio, Daniel Isaac N. Cagaanan, MILO Sports Executive Lester Castillo; BOTTOM ROW L-R: Lien Dale D. Manuel, Jelena Loren I. Soon, Alexander David C. Villarosa, Breindel O. Medina, MILO Consumer Marketing Manager Robbie de Vera) NOT IN PHOTO: Tristan Ybanez. These deserving young athletes will be participating in the nine-day event at the FC Barcelona training grounds: Lien Dale D. Manuel (Tondo, Manila), Heaven Andrei N. Teodosio (Mandaluyong City), Juan Pablo S. Unlay (Quezon City), Alexander David C. Villarosa (Cebu City), Breindel O. Medina (Davao City), Tristan Ybanez (Cebu City), Dylan Theodore O. Wong (Cagayan de Oro City), Carlo Antonio D. Bongocan (Koronadal City), Jelena Loren I. Soon (Cebu City), and Daniel Isaac N. Cagaanan (Koronadal City). A world-class, life-changing experience awaits the young athletes who will get to interact with their peers from other MILO markets worldwide namely Chile, Colombia, Jamaica, Malaysia, Maldives, South Africa, and Venezuela. Their trip will be headlined by prestigious training sessions with FCB Youth Academy coaches, an exclusive training opportunity with FCB and Dutch national team legend Frank de Boer, a live match viewing of the FC Barcelona team, and other activities that foster camaraderie with other delegates and tour the sights and sounds of Barcelona.